Lake Macquarie MP Greg Piper has called for a review of palliative care services in the region after it emerged that some Lake suburbs are serviced by a 24-hour outreach service and others are not. Here's a copy of his speech to State Parliament. Following that is a report from the Newcastle Herald. "There is a common refrain along the lines that a society or a community can be judged on how it treats its young people and its vulnerable people, those less fortunate, the infirm and those with ill health in the final stages of life. We mostly do well but I fear that instead of continuing to improve our efforts in those areas, we sometimes allow our efforts to slip. I am concerned that this may be the case with palliative care. In my electorate of Lake Macquarie, I fear that services are being eroded rather than promoted and expanded. For most people in our region access to palliative care is through the privately operated Calvary Mater Hospital at Waratah near Newcastle and the John Hunter Hospital managed by Hunter New England Area Health. Late last year I met with local representatives of the Cancer Council who briefed me on concerns that they had about the future of 24/7 palliative care outreach services in the Hunter. In general terms, the outreach service provides on-call assistance, including phone calls and home visits to patients in the final stages of their lives who have returned home to spend their remaining days with family and friends. People using this service place relatively little burden on taxpayers and our stretched hospital system. These are valuable outreach services which provide terminally ill people with dignity and general support for them and their families as they share this often very difficult time. We were assured that no changes to the outreach program had been employed but like all health services they are always being reviewed. Last week I was contacted by a constituent about what she said was a plan to reduce the 24-hour-a-day outreach service to just eight hours a day between 9 a.m. and 5 p.m. I have no idea why someone in the health service would think that such a vital health support service would only be needed between 9 a.m. and 5 p.m. on weekdays. I can only assume that the suggestion was made for budgetary reasons. As my constituent pointed out, the requirement for decent palliative care is paramount during these very distressing times for people. Without the outreach service which would allow a qualified nurse to visit the patient's home, the patient would need to be transported to the emergency department of their nearest hospital for treatment. As she also pointed out, that scenario would also reduce the patient's right to choose where they die. I was also contacted this week by a retired palliative care nurse living in my electorate who claimed that there was a concerning deficiency in the current system. She told me that the 24/7 outreach service operated by the Calvary Mater Hospital in Newcastle serves less than half of my electorate because a boundary is drawn at Fennell Bay bridge. She said that people who live south of Fennell Bay bridge, for instance in the highly-populated areas from Toronto through to Morisset, do not get the 24/7 service but instead, a 9 to 5 service operated by Hunter New England Health. My office sought clarification from Hunter New England Health and the Minister's office. Although it was at short notice, I have had assistance from the Minister's office which has given me some assurance. I have been informed that there will be no changes to the palliative care service provided by the Calvary Mater Hospital or the Westlakes Community Health Service in Lake Macquarie but that Westlakes Community Health Service has a palliative care nursing service that works in collaboration with Calvary Mater Hospital palliative care specialists. Westlakes Community Health Service provides a 24-hour on-call service to provide advice and support to patients. The next line in the advice I received says that after hours the service is provided by telephone and that home visits are conducted only during business hours. That is of real concern to me because there is a great difference between the services that half of the residents in my constituency receive compared to those received by the other half. I will follow that up. I also note that in a Newcastle Herald article published on Saturday, the Mater's Acting Assistant Director of Clinical Services did not rule out cuts to the existing service. She said, however, that the safety of nursing staff was a priority and we would all agree that that is rightly so. This was apparently the same advice given to local representatives of the Cancer Council when they first inquired about the future of the service last year. They were told that there were occupational health and safety issues with sending a single nurse into private homes, particularly at night. The Cancer Council said safety had not been a significant issue. One of the nurses told me that, in her 22 years of palliative care nursing, she was aware of only one assault on a nurse—a minor assault, committed by a distraught relative of the patient she was visiting. I note that the Acting Assistant Director of Clinical Services for Nursing also said in the Newcastle Herald that existing 24/7 services at the Calvary Mater Hospital are available and unchanged, as confirmed by the Minister's staff today. More than 300 people access the 24/7 palliative care outreach service in the parts of the Hunter in which it operates. This invaluable service not only needs to be maintained but supported and extended." This article appeared in the Newcastle Herald on February 20. LAKE Macquarie residents living south of the Fennell Bay bridge do not receive the same 24-hour palliative care services as their northern neighbours, and instead have to rely on a telephone service for care outside of business hours. Lake Macquarie MP Greg Piper revealed in parliament on Tuesday that he had been advised by the government that residents in highly populated areas like Toronto and Morisset do not have access to the same 24-hour care as other parts of Lake Macquarie. Mr Piper read out advice he’d received from new health minister Brad Hazzard’s office that the Westlakes Community Health Service – which operates south of Fennell Bay and Swansea down to Wyee – provides a “24-hour on-call service to provide advice and support to patients” but that after business hours that service was provided by telephone. Mr Piper said the difference in service created a “them and us” situation in Lake Macquarie. “In my electorate of Lake Macquarie I fear that services are actually being eroded rather than promoted and expanded,” he said. It comes after the Newcastle Herald reported last week fears that after-hours palliative care visits by the Calvary Mater Hospital could be at risk of being replaced by a telephone hotline because of perceived safety risks from the after-hours home visits service. Hunter New England Health has not ruled out making changes to the service, and Mr Piper told the parliament he’d previously met with Cancer Council officials who had been told there were “OH&S issues” related to the service. However Mr Piper said he’d spoken to one nurse who in 22 years had only seen one “minor assault”. “This invaluable service not only needs to be maintained and supported, it needs to be extended,” Mr Piper said. 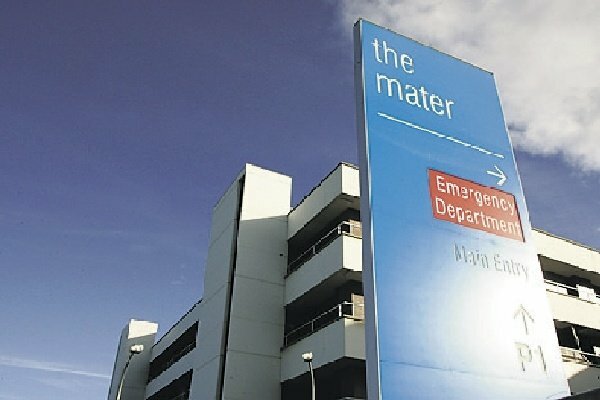 The Herald has previously reported that Hunter hospitals were “badly under-resourced” to provide adequate end-of-life and palliative care, as well as calls for 24 hour services to be extended to Maitland.